Silsden Singers Events – Come and See Us! 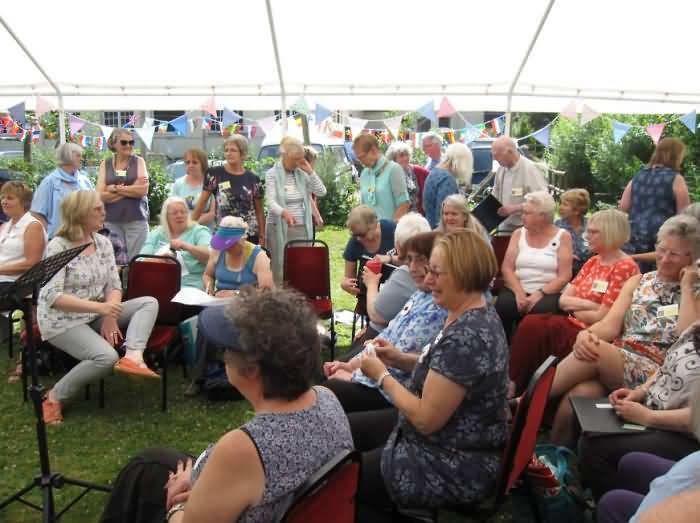 On Sunday 3rd March 2019 members of Silsden Singers, Settle Voices and East Lancs Clarion choirs invited the Peace Through Folk choir to join them in the now-traditional Three Choirs Meet in Earby. The four choirs each brought a song or two to share, and here is the result. 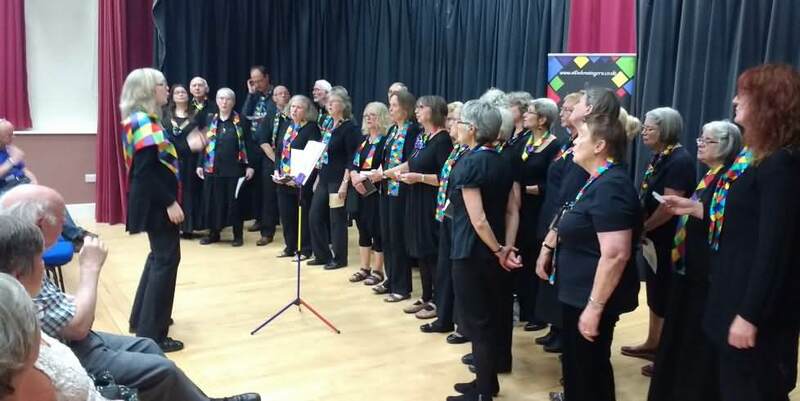 On Sunday 24th June 2018 members of Silsden Singers, Settle Voices and East Lancs Clarion choirs were invited to participate in this event by the Peace Through Folk choir at the Foxlove Arts Centre in Leek Staffs. The event was one of many across the country to celebrate the life of the late Jo Cox MP. Jo's legacy was to bring communities together "While we celebrate our diversity, we are far more united and have far more in common than that which divides." We arrived in Leek at lunchtime and enjoyed a wonderful afternoon of workshops learning and rehearsing our repertoire of songs under the inspiring leadership of our choir musical director Janet Russell, and Musical directors of our host choir Penny Barfield and Lester Simpson. This culminated in a wonderful evening concert where the choirs sang individual pieces and also a mass sing of those we had learned during the afternoon. The weather was beautiful, the buffet prepared by our hosts was excellent and it was a special day to share and celebrate an inspiring young woman who believed in peace and unity. In 2017 we celebrated our 20th Anniversary and it has been a busy and rewarding time for our choir. Whilst we sing essentially for the sheer joy of making music together, we have taken part in events to either support our local community or perform further afield to raise money for charities. Our year began with a full day workshop in Skipton with Janet's other two choirs, East Lancs Clarion and Settle Voices. We also performed for an event in Silsden to mark the Tour de Yorkshire passing through the town. In May, we presented a concert at the newly refurbished Cliff Castle. Some members took part in the Annual "Sing for Water North", a national event replicated in regions around the country to raise funds for Wateraid. One of the highlights this year was the Kendal Street Choirs weekend Festival with 900 participants from choirs all over the country. 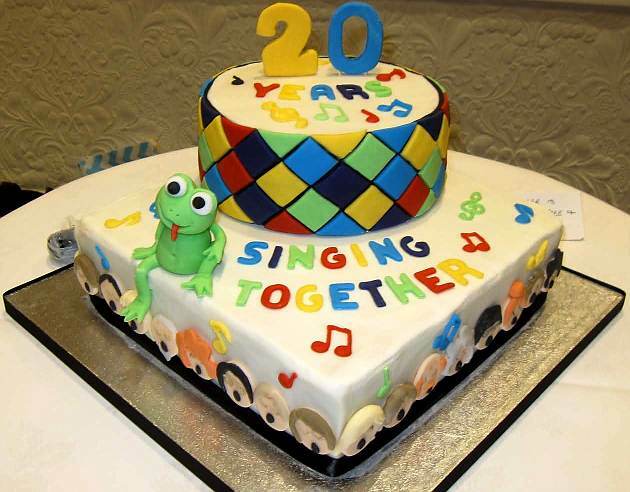 In July we presented our Anniversary Concert in Silsden Town Hall to mark the 20 years since our choir began and it was very well supported by local people and past choir members. The celebrations continued in October when we hosted our Anniversary Dinner at Steeton Hall where 80 current, past members and invited guests enjoyed a wonderful meal, lots of frivolity and singing and huge thanks to our Musical Director Janet Russell for her commitment and enthusiasm over the past 20 years. December is a busy time to celebrate and share our Christmas repertoire. 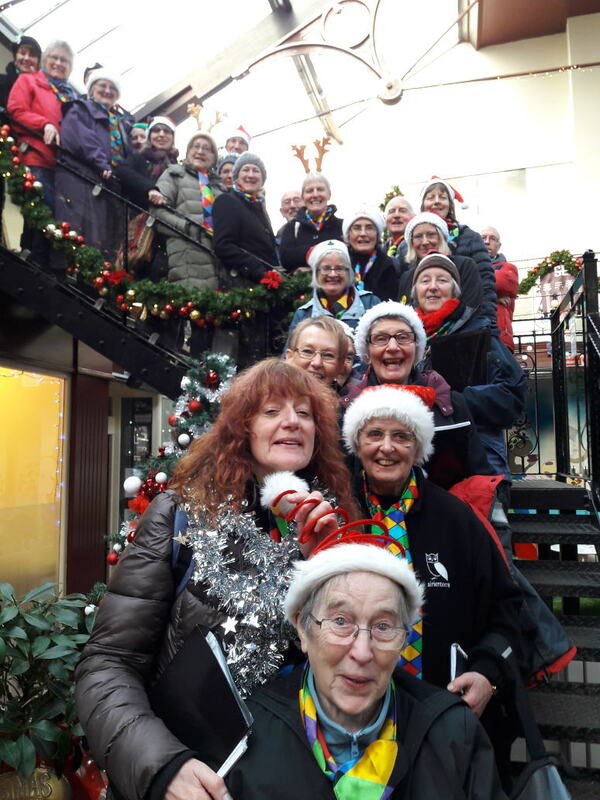 We sang for residents in two local care homes and performed in Shopping Centres in Keighley and on the platform at the station for children and families waiting to board the Santa Express steam train. Our collections on the day were for our two nominated charities Young Minds and Keighley Women's Refuge. Further photos are shown on our Gallery page and if you love to sing, please come and join us.